BE Solar, Bermuda’s most established solar and energy efficiency company, has just imported the first inventory of a groundbreaking advance in solar technology, the SolarWorld BiSun solar panel, made in Germany. BE Solar is the only local authorized distributor and installer of SolarWorld BiSun panels. SolarWorld has a 41 year track record with ZERO product recalls and manufacture their panels in the USA and Germany only. SolarWorld panels are optimized for ‘real world’ conditions and offer the only 30 year guaranteed energy performance warranty in Bermuda providing no less than 86.85% power performance output after the first 30 years, far greater than competing solar panel brands. 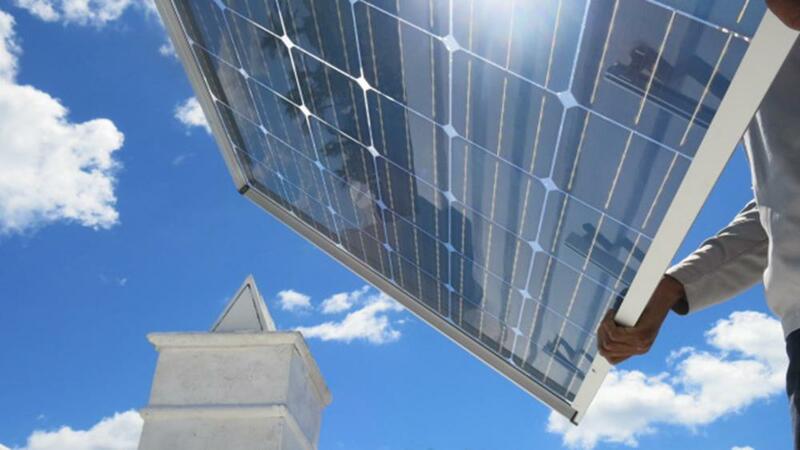 With the new bifacial BiSun panels, homes and business’ can expect up to a 10% energy boost from the reflection of Bermuda’s white roofs to produce over 31% more guaranteed energy per rated power than standard panels. SolarWorld panels have surpassed the most severe International Electrotechnical Commission (IEC) salt spray test conditions providing exceptional resistance to salt air & humidity. The superior design and robust panel construction is built to withstand severe impacts and category 5 hurricane force winds. Every component is tested to meet 3 times IEC requirements and built to maximize energy production in natural settings, not just laboratory conditions. When investing in renewable energy you want reliable solar panels that will sustain and perform, from a company you can trust, with extensive experience exclusively producing solar electric panels. SolarWorld stands behind their products and never cut corners, making the most superior and reliable PV panels on the market that provide real value.